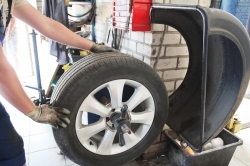 With over 40 years of accomplished experience, Armstrong's Garage are well equipped to deal with all your vehicle’s needs, no matter what make or model. We have built up a fantastic reputation over the years and much of our work comes from word of mouth and personal recommendations. Armstrong's Garage stocks a huge range of parts for all car makes and models. We are a 100% dedicated in providing the highest standards of vehicle care with the shortest turnaround, so we can get your car back on the road as soon as possible. We can provide a completely FREE no obligation quotation. If you would like to find out more please don’t hesitate to give us a call today. You can reach us by calling on 01450 363660 or by sending us a message through the contact us page.